Live From The Facebook Event: We've Got Fmail! We’re here at the Facebook Event at Yerba Buena Terrace, and Mark Zuckerberg has taken the stage to talk presumably Facebook’s new mail client, Project Titan. From what we hear this isn’t just an outgrowth of Facebook’s messaging feature, this will be a full on web client like Gmail except leveraging your social graph. There’s been quite a lot of speculation since the invites went out last week on what this announcement would entail; Whether the general public would get POP and IMAP support, whether we should expect @facebook.com email addresses (or @fb.com) email addresses as well what exactly not being able to export your Facebook contacts to your Gmail and vice versa will mean for users. Stay tuned for updates and tune into the Livestream of the announcement, which starts at 10:00 am, above. 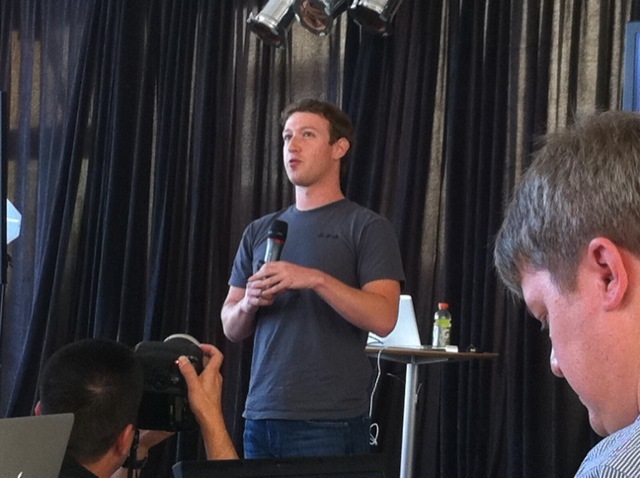 9:59 am — Mark Zuckerberg has taken the stage and reveals that they moved this event to SF because of Web 2.0 Expo. 10:01 — He’s now recounting a story about how talking to high school students about email he realized that “Email is too slow.” It’s not that email doesn’t get delivered immediately, it’s that it’s too formal because there’s all this extra stuff that gets attached to an email. 10:02 — Highschool kids don’t use email, they use SMS a lot. People want lighter weight things like SMS and IM to message each other. 10:03 — 350 million people messaging on Facebook, 4 billion messages sent each day and that’s growing at an alarming rate. The vast majority of this is messages between people. Communication across all the different ways people like to message, including but not limited to email. A record of all your contacts with people all in one place. 10:13 — Facebook Product Manager Andrew Bosworth has taken the stage and has brought up a slide of different devices, SMS, Messaging and email. While people will be getting a Facebook.com email address, Bosworth says that this product will not be just focused on email. Bosworth is saying that in order to launch Fmail Facebook needed to completely rebuild their infrastructure, moving from Cassandra to hBase and extending their photo sharing application (Haystack) to support attachments. 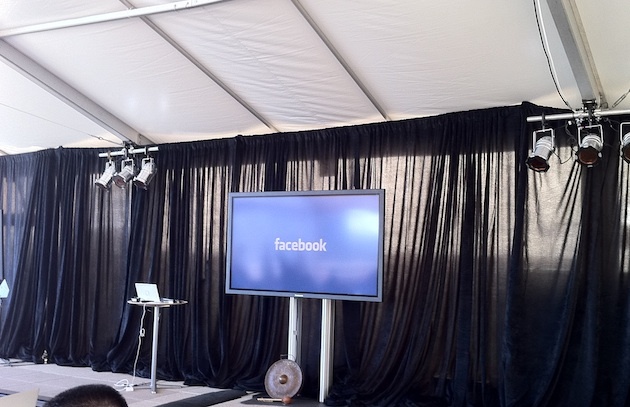 This is the biggest engineering team (15 engineers) Facebook has ever put together for a product. 10:22 — Bosworth is now showing us the Social Inbox feature, which prioritizes messages from your contacts. Social Inbox will separate messages into three folders, Messages, Other, and Junk. Your social graph will determine what gets sorted in the messages folder. 10:28 — Facebook will be rolling out the feature starting today. Q & A — We’re now getting into Q&A. First question “What does this not do that you want it to do? Zuckerberg’s answer: “We wanted it to have IMAP support.” It currently doesn’t. In response to a question about whether the product will integrate voice, Zuckerberg says that they are currently focusing on SMS, IM, Email and Facebook messages. “This product works fine with Gmail,” says Bozworth. On the deletion of emails, users will have the ability to delete whatever messages they want. Zuckerberg talks about the social design of the Social Inbox feature, that eventually if you keep emailing a contact the algorithm will adjust and bring those communications into the Messages folder. Zuckerberg expects people to use the product as such, people will be checking their main folder Messages, repeatedly and the other two folders only occasionally. Message forwarding will be enabled. You will also be able to add people and delete people to the thread. Bosworth dodged the question on size of storage space, and wrapped up the event asking us to email them @facebook.com. Wait, what?